Thank you Rachel Griffith for all of your dreaming and scheming towards this year’s kid’s tent! Check out her Dino-themed day of crafts, games, stories, and more! This year the famed Kid’s Parade will end at the river in time to watch the DUCKY RACE!!! Kid’s 12 and Over get free festival entrance – Big Kid’s can (and should) get their tickets (AND BEAR FEST TEES) now! – Click for Tickets! 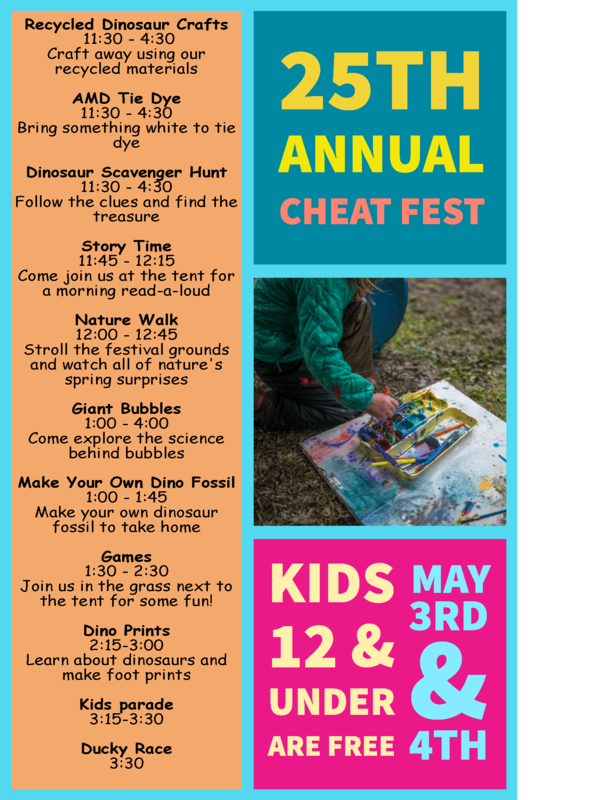 2019 Cheat Fest Kid’s Tent Schedule!